Starting a business can be an overwhelming prospect, which is why this title takes aspiring owners through the entire process, from conception to execution, to craft a business plan that is built to last. Without preparation and planning, it's tough to succeed at creating and growing a company. Putting in place the foundations that a business can be built upon may seem daunting at first, but it is a necessary process, and one which is made a lot easier when the owner has a suitable guide. 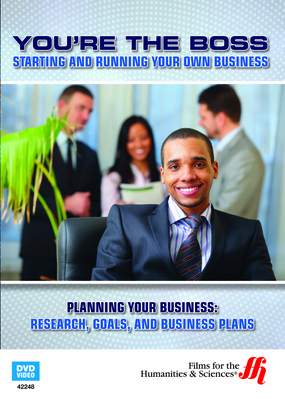 'Planning Your Business' aims to provide that guide, by introducing aspiring entrepreneurs to the concepts, research work and challenges on the road to building a prosperous business. From assessing the initial idea, through market research, competitive analysis, goal-setting, and execution, this program explores the steps that owners must take to properly prepare for the marketplace. It also encourages aspiring business owners to reflect on their own ability to take risks, manage the many competing activities within an organization, and understand customers to the point that they can build a business around their needs.